Check out these spooky Halloween cakes! 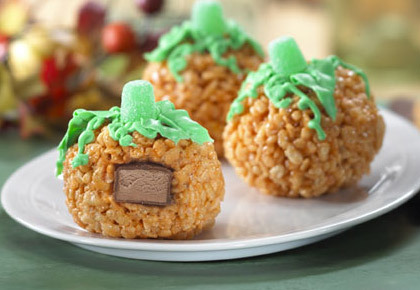 We’ve got some spooky Rice Krispie recipe ideas just in time for Halloween! You can make these cakes to give to Trick or Treaters or to eat yourself. 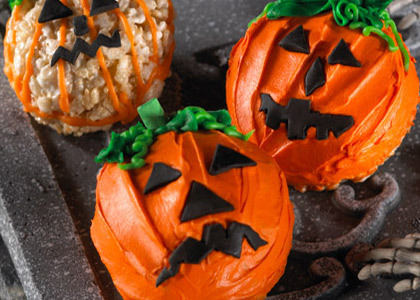 Why not make these Spooky Surprise cakes? They look delicious! And no one will be expecting the chocolate centre. Or you could make these brilliant looking Pumpkin Cakes. There’s loads more recipes on the Rice Krispies website. Click here to see all the Halloween Recipes! Don’t forget that we’ve got loads of fun things planned on Fun Kids this Halloween, including a Wicked Witch sneaking in to the studio. You can tune in to Fun Kids on DAB Digital Radio in London and online across the UK!